A community of gamers have been waiting very patiently for this day, the day the release date was announced for TERA Online. The upcoming open-world - is just around the corner, releasing in North America on the 1st of May, 2012 and Europe on the 3rd of May, 2012. 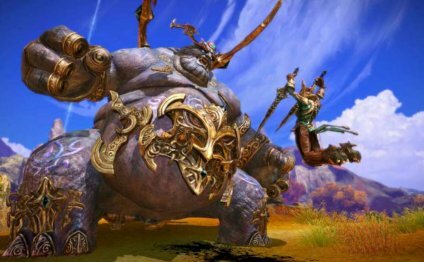 Players across the globe will finally be able to participate in the action-based combat and intriguing political system that sets TERA apart from other similar titles. Beta sign-ups have already begun ( / ), players who registered before last friday will have a chance to be invited to the first wave of 1000 testers. There will be more waves and several betas, with open beta on the schedule for now. Any one who previously participated in a TERA Online beta last year will also be automatically invited to join all future beta tests. I’d like to say you only have to wait till May if you miss out, but unless you don’t want to play in Open Beta, chances are you’re going to see it before May. Cody 'NerA' Hargreaves has been writing cross-platform reviews and articles in the games industry for over five years across various websites and publications, including MMOGames, MMOhub, MMOHut, MMOsite, HYPER Magazine, Pixel Hunt and Thirteen1 E-Zines.